Currently the Managing Consultant and MD of Strategic Personnel, Adam has been involved in recruitment and specifically financial recruitment since 1996. He began his recruitment career with specialist divisions of Kelly and was ultimately responsible for managing their Accounting recruitment business unit. Adam has been with Strategic Personnel since 2000 and in that time he has continued to build on the strong foundation laid by the founder. The conclusion of Strategic Personnel’s BEE deal and the start of Strategic Personnel’s Temporary Services division are two key highlights. Prior to specialized recruitment, Adam was involved in his own successful businesses within the Services and Hospitality industry. Adam Holds a BA (Law), BSc (Ind Psych) both from WITS and a MAP from the Wits Business School. Basiame is a Director and Senior Recruitment Consultant at Strategic Personnel and has been in the recruitment industry since 2006. Basi has worked for some of the leading agencies in South Africa including for the Focus Group were she was handpicked to work directly with Tumi Maruping then voted Best Young CEO in South Africa. 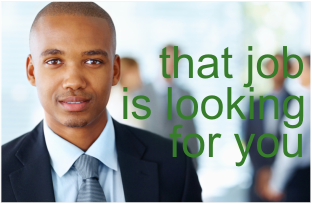 Basiame has specialized in temporary, permanent and head hunting recruitment. Her experience has included 4 years developing businesses into emerging markets and 6 years in general recruitment. Basi also has extensive large volume project recruitment experience. Basiame has completed her National Diploma in Human Resource Management and is currently busy with her Human Resource Management Degree through Regent Business School. She is an APSO affiliate since 2008 and also a certified trainer through the ETDP SETA. She has been with Strategic Personnel since 2012 and is responsible for Temporary as well as Permanent Services recruitment. Together with the team of experienced consultants and researchers, Basiame ensures orders are taken and filled with reliable, applicable staff.